What event planners can learn from one of the world’s best promoters. One or twice a year, an event invitation goes out that has the world abuzz with rumor, speculation, and anticipation. No, it isn’t the Oscars. Or a White House State Dinner. Nothing is given away, and no multiple-course dinner is served. Its core function is a promotional launch. The kind that happens somewhere in the world multiple times per day and too little fanfare. But this one is different because it comes from a beloved brand with a knack for making a spectacle out of simple product announcements. Its name, of course, is Apple. Apple’s product launches are so legendary that they’ve been analyzed in books and TED talks, fueled liveblogs and newspaper columns and even inspired a major motion picture. So how do they do it? And what can event planners learn from them? Let’s take a look. 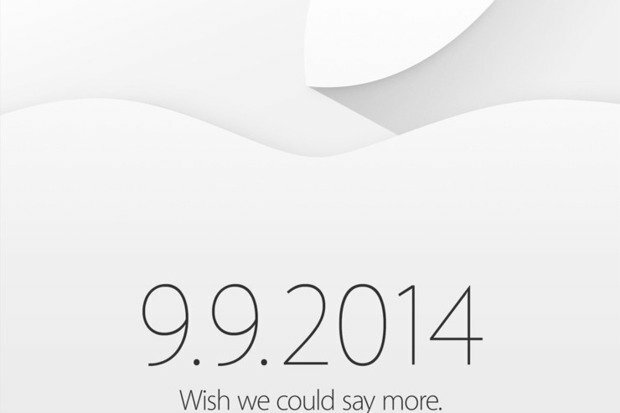 An invitation to Apple’s 2014 event. The reveal: iPhone 6, Apple Pay, and Apple Watch. Long before invitations go out, speculation is already rampant with assumed dates, locations, and anticipated product announcements. So how does Apple respond in their official invitations? They don’t. Instead, they fuel the mystery, giving only cryptic clues as to what they’ll be revealing. Is there a way you can incorporate mystery into your next event? Perhaps by keeping the entertainment a secret, or giving away surprise awards? While the invitations are certainly cryptic, certain ones have also served as theme notification mechanisms. From “Hey Siri, give me a hint” to “We’ve got a little more to show you,” the subtle cues give bloggers just enough to launch new waves of free advertising. 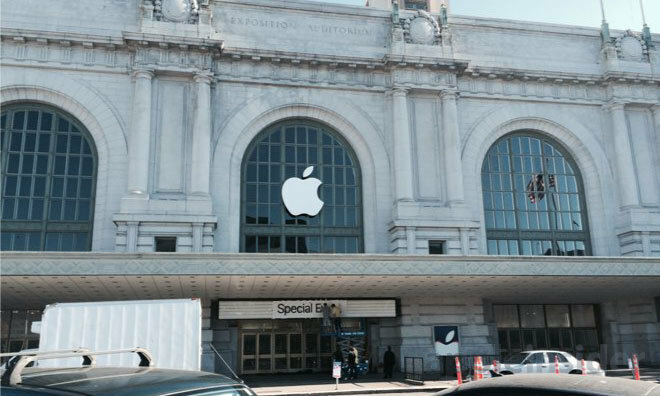 But the themes really begin to unfold as guests await the arrival of Apple’s CEO, Tim Cook. That’s when carefully selected music fills the arena with a few more clues. And yes, there’s even a blog that tracks those melodic messages. The point is that their themes are clear and clever. And they closely support the purpose of the event. Apple’s campus has a gorgeous arena that could easily house all their events without issue. And yet they’ve used a variety of venues for their product launches. The Flint Center. The Bill Graham Civic Auditorium. It’s Cupertino headquarters. Why all the variety? Each venue was selected for its support of the event vision. 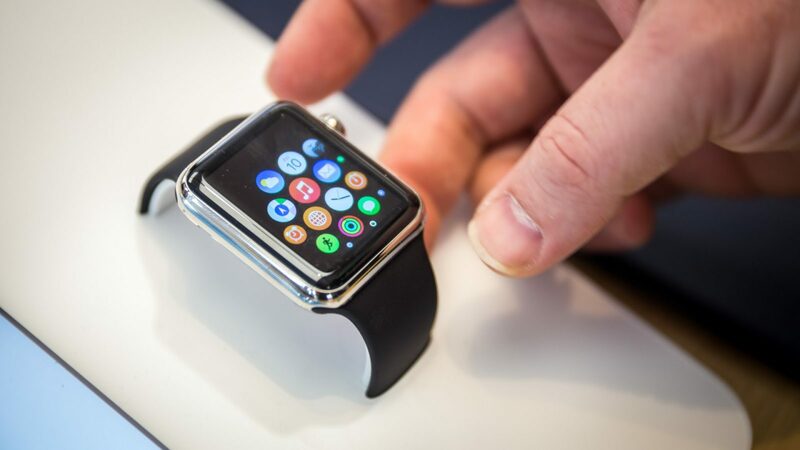 Apple’s events are marked by a variety of senses. Just minutes before, the company’s lips are sealed and products, unconfirmed. At first, guests are greeted by visuals only: signs guiding them inside. Later, music. Then discussion and on-stage demo. And finally, rooms for hands-on product demos. Great events entertainment all the senses. You probably already thought of taste, but do you have visual entertainment? Audible? How about physical? The more senses you summon, the better. 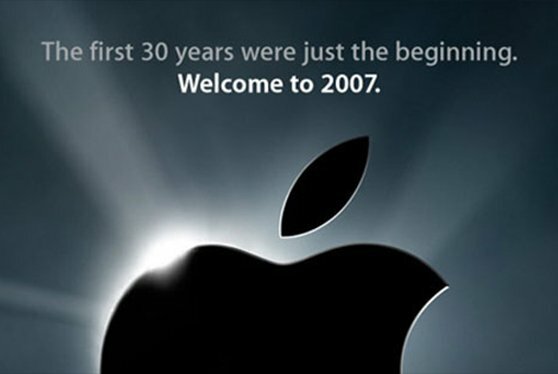 This bold statement was followed by the announcement of the very first iPhone in 2007. Apple has been mocked for its epic, best-news-of-your-life delivery style (“We completely re-engineered the iPhone from the ground up…”) but no one can say that the company’s team isn’t excited about what they have to offer. Year after year, Apple’s execs take the stage in what appears to be the moment they’ve been waiting for: the big reveal of their latest pride and joy. Every leader can learn from this celebratory demeanor. Your team members will be looking to you to set the tone. Will this be a serious meeting? A formal party? A family gathering? Your answer will set the tone for the entire event. Set carefully.